If you’ve paid any attention at all to the MMORPG genre the past few years (or have any idea what an Asian MMORPG subscriber model looks like), you’ll have seen this one coming a mile away. Heck, Blizzard has been selling plushies and $25 in-game mounts for quite some time. Seeing a major drop of over a million subscribers in Q1 of this year alone, Blizzard has to find a way to stop the bleeding and put the juggernaut back into growth mode. Every MMORPG in recent memory that’s gone F2P and included a cash shop has seen a rise in overall earnings, if not a rise in subscriber base. If they really do launch with +XP boosts, it’s only a matter of time for the player base to start seeing WOW as Pay-to-Win. At that point, Blizzard will see the subscriber numbers really hemorrhage. Note: This article contains the original article plus a sizeable follow-up with newly released information. Asian regions to get the brunt of purchasable boosts, to start with anyway. Update: Blizzard has confirmed an in-game store is on the way to World of Warcraft, and detailed what regions will be getting what first. Community manager Bashiok explained that, for many, the store will simply offer a more convenient way to purchase items already available from Blizzard’s Cash Shop. He then went on to clarify that the experience boosting items previously uncovered would be offered “in Asian regions, at the outset” before revealing another in-game item that’ll also be available for purchase. “First, we’ll be testing the in-game store with some new kinds of items we’re looking into introducing (in Asian regions, at the outset) based on player feedback: specifically, an experience buff to assist with the leveling process, as well as an alternate way to acquire Lesser Charms of Good Fortune. We’ve had a lot of requests from players in different regions for convenience-oriented items such as these, and as with other new ideas we’ve introduced as WoW has evolved—including Pet Store pets, mounts, and more—your feedback plays a hugely important part in determining what we add to the game. The inclusion of Lesser Charms of Good Fortune has caused some consternation among fans of the game, as they can be converted into an item giving players extra chances to attain gear in raids. For many, this could mark the start of a slide into what’s commonly known as “pay-to-win” territory, where your in-game strength isn’t based on skill or time invested, but rather real-world cash spent. Blizzard has strongly denied these accusations, and the current plan doesn’t make any suggestion about the Charms being offered in the West. It’ll be interesting to see how this one develops; as one of the final MMOs to offer a subscription fee, it seems Blizzard is looking to supplement its income amid falling player numbers. Original Story: Blizzard has announced that it’s investigating the possibility of adding microtransactions to World of Warcraft. In a post on the game’s forums, community manager Zarhym explained that no decisions had been made and the new system would only be available “in certain regions”. The post was made in response to a player finding an item on the Public Test Realm for a future patch that grants a “100% XP Buff” from both killing monsters and completing quests and is available through an “In Game Store”. It’s worth noting that Zarhym’s response suggests only certain regions will be getting the new system, meaning NA and EU may never see it. Seeing as we already have the Blizzard Cash Shop over here and the company has received some serious flack for accusations of double dipping by having both that and a subscription fee, it’s likely the new microtransactions are planned for other countries such as China. Are you still playing World of Warcraft and would the addition of microtransactions make you stop if so? Let us know your thoughts in the comments below. It was only a matter of time! One of the biggest complaints about Neverwinter is the astronomical costs of items in the cash shop ($30-$40 for a mount? Dayum!). Today, Pinpointerror posted the new permanent and weekend-only changes you can expect moving forward. We’ve gotten a lot of feedback during Neverwinter’s Open Beta, and it’s helped us make every aspect of the game better, from combat to rewards. Now we’re incorporating your feedback to improve the ZEN Market, with permanent reductions to the price of many items. You spoke, and we’re listening. WhenNeverwinter goes officially live on 6/20, many items will be permanently discounted, including mounts, fashions, and dyes. We’re also going to be running a sale starting on Friday to start the party early, with discounts of 25% on mounts and 50% on fashions, up until the moment that Neverwinter officially goes live. Mounts will be discounted 25% during the sale, including the Heavy Howler and more. Retraining Tokens will be discounted 60%, and ZEN fashion will be 50% off. Dye items will be on sale for 60% off during the sale. The lands around Neverwinter are sprawling and dangerous, and exploring them is best done from the back of a speedy steed. 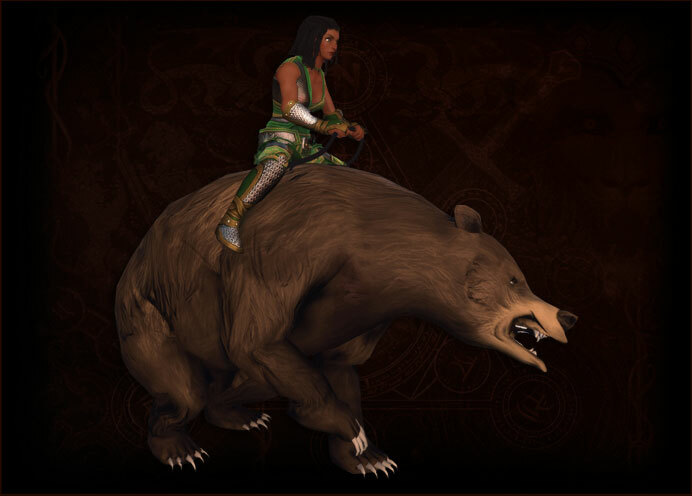 Mounts will be discounted 25% during the week-long sale, and the prices of most will drop by 500 ZEN or more when Neverwinter officially launches. Looking for something fancy to wear on your next trip to the Moonstone Mask, or ready to try out a different build? Retraining Tokens will be discounted 60% during our week-long sale, and when Neverwinterofficially launches, it will be permanently discounted 50%, down to just 300 ZEN. ZEN fashion items will be 50% off for the week, then permanently discounted by 33%. Once you’ve got the best gear available, customize it with color dyes! Dyes are discounted 60% during the sale, then permanently discounted 50% after Neverwinter’s launch. This sale will begin on Friday 6/14 at noon Pacific time, and the permanent discounts will take effect on 6/20 when Neverwinter officially goes live. Block off some time this week for adventures in Neverwinter, heroes — glory awaits! Discuss the price changes right here on the official Neverwinter forums.